Is Cheating the Carpool Lane Worth It? Ah, the carpool lane. You love it (when you can use it) and you hate it (when you can’t). The magical lane was created to help increase traffic flow, encourage people to carpool, and reduce the carbon emissions on the road. And while it accomplishes these things, it can also help you get where you need to go extra fast. In fact, in rush hour traffic, it can get you there so fast that you may be tempted to use it even when you aren’t supposed to. After all, who would really notice? Well, it doesn’t matter how many people notice, as long as a cop doesn’t. If you do get caught using a carpool lane without anyone in your car with you, you can face a hefty fine. According to the City of Houston, their current fine for an HOV violation is $177. If the fine is not enough to deter you, maybe you would consider your integrity? Laws are there for a reason. 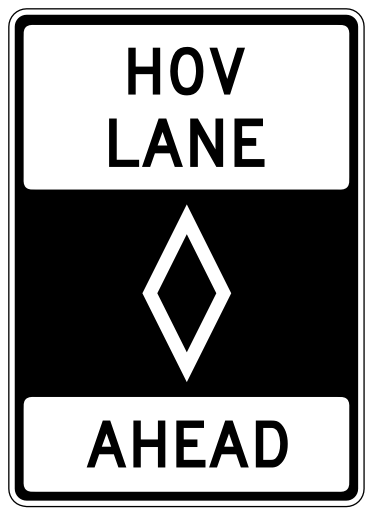 If you use the carpool lane when you are not supposed to, and then the person in front of you uses it, and then the person next to them uses it, then the carpool lane no longer serves any benefit to the people who are actually carpooling. Remember, you will be one of them one day. Don’t you want the carpool lane to be clear when you need it? Sure, it can be tempting to just sneak in it for a little bit, but is the consequence really worth the few minutes saved? Probably not. So who counts as a passenger? The good news is that even if you are just taking your kids to school, you can still use the carpool lane. The Department of Transportation confirms that your kids do count as passengers, no matter how small. If you have a younger child you have to take with you, you can even use the carpool lane on the way home. Score! Now they just need to come up with a lane for parents with screaming children. Wouldn’t that be nice?